Good Looking Polished Pewter keychain. 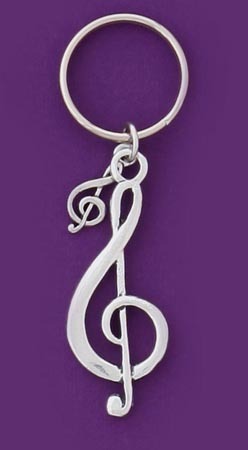 This Treble Clef is sure to delight. Great stocking stuffers!